Melanie attended Virginia Tech for her undergraduate degree and received her Master of Medical Science from Wake Forest University. She is nationally certified by the National Commission on Certification of Physician Assistants (NCCPA) and is licensed in Maryland. 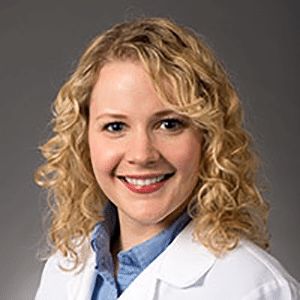 She is currently a member of the American Academy of Physician Assistants as well as the Society of Dermatology Physician Assistants. Melanie provides general dermatologic care and performs cosmetic procedures.